A study done by researchers at the Johns Hopkins Medical Institutes suggests that a pomegranate pill a day may help slow the progression of prostate cancer. This study represents one the latest research on the antioxidants in the pomegranate and its anticancer effect. Back in 2009, researchers had reported that pomegranate juice may also prevent prostate cancer from getting worse. 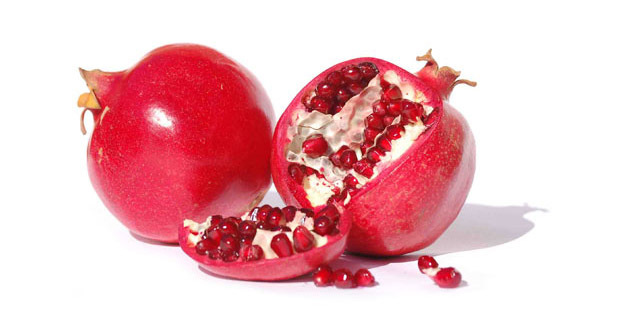 For the study, 92 men with cancer that did not spread beyond PSA (prostate-specific antigen) took either one capsule containing 1 gram of pomegranate extract or three pomegranate capsules daily. At the start of the study, the men's PSA levels were doubling every 12 months. After six months of taking the capsules, it took 19 months for their PSA levels to double. The researchers advised men to take precaution, as those who took three pills daily were also more likely to suffer mild to moderate diarrhea. The study was presented at the Genitourinary Cancers Symposium.